Vampyr is an Action RPG developed by Dontnod Entertainment and published by Focus Home Interactive. The game is a throwback to the classic fantasy-horror take on the subject, and works in stark contradiction to the massive influx of trendier vampire-related entertainment like Twilight and True-Blood that everyone experienced in the last decade. Dontnod Entertainment is a French game developer that started its development work with a flawed cyberpunk action adventure game called Remember Me, and then followed it up with a low-budget graphic adventure title; Life is Strange, which proved to be its first critical and commercial success. Vampyr seems to be a much more ambitious title than their previous titles. The game not only features a semi-open world but also boasts a gameplay experience that employs a combination supernatural abilities and conversational dialogue options, allowing players to fight their way through or avoid combat to finish the game without killing any NPCs. Unlike their previous endeavors, Dontnod did not enjoy the support of a big publishing house like Capcom or Square-Enix in making Vamypr and had it published under an independent French publisher. Unfortunately, in this case, the developer and publisher combo were unable to move past their humble achievements and could not fully succeed in delivering the full potential of this unique RPG concept. 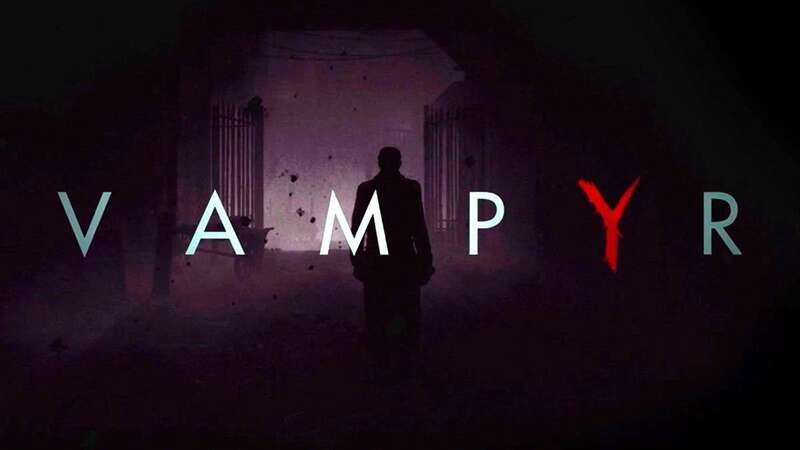 Set in London during the historical 1918 Spanish flu epidemic, Vampyr follows the exploits of Dr. Jonathan Reid; a medical physician who finds himself turned into a vampire and faces the dilemma of striking a balance between keeping his Hippocratic Oath and succumbing to his vampiric basic instincts. As a newly minted vampire Dr. Reid has to come to grips with his situation. Not only is he unwittingly thrust into the role of a nocturnal undead but he also has to figure out his abilities, distinguish potential allies from enemies and understand the political mechanizations at play in post-World War London. Reid is forced to explore the quarantined areas of London and socialize with its citizens. His conversations with these individuals reveal their motives and make him aware of their unique problems that range from somber topics like trauma of war, poverty, class divide, mental illness, racism, communalism and of course; the supernatural. 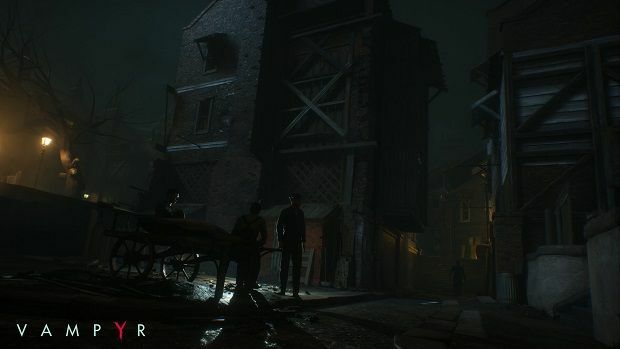 The story in Vampyr flows to the tune of old noire tales and penny-dreadful stories. It paints its world with a poetic brush, balancing atmospheric locales with gritty characters and presents a branching story that takes interesting twists and turns while maintaining its focus on the moral dilemma of being a vampire. With its poetic subject matter, its atmospheric world and gothic locales Vampyr tries to present itself as a cinematic experience, but unfortunately the game fails to successfully fulfil its potential when it comes to execution. Vampyr is full of spotty production values that range from fairly decent quality to very rough and unpolished. Vampyr takes a very heavy handed approach with narration and internal monologue throughout its campaign. Dr. Reid keeps talking to himself, but not in a charming way like Nathan Drake in Uncharted or Alloy in Horizon. His inner voice is no different than when he speaks out loud, and is always stating the obvious in a loud yet monotone voice; spoon feeding information to the players and explaining what they can already see. What exasperates this is the fact that the game contains a very uneven script that is complimented by an equally uneven execution. The game consistently oscillates between wooden dialogue delivery and decently competent voice acting; a clear sign of flawed and banal direction on the game’s voice-overs, which needed much more depth and nuance to validate the tone of its subject matter. While the sound design for voice-acting leaves a lot to be desired, the main saving grace for Vampyr’s audial presentation is its soundtrack. Vampyr mixes string-heavy classical tunes with industrial music and features a heavy dose of cello supplemented by a flute, piano, bass, and cimbalom. 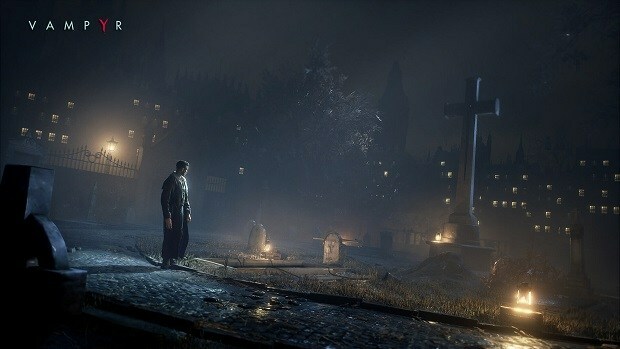 The tracks not only convey the somber nature of old-London but also capture the tension faced by the protagonist in his struggle between being a doctor and a vampire. Vampyr takes a similarly uneven approach in its visual presentation. The game suffers from overall lack of polish when it comes to graphics and animations as it tries to implement its artistic design to present an atmospheric and cinematic experience. The game makes a choice of telling story via a mix of regular in-engine cutscenes and still images joined together through animated transitions, with dialogue or narration in the background. Alas this does not turnout great, as it comes off more as a cheap alternative to fully animated cutscenes, rather than artistically stylish like in the case of games like Metal Gear Solid Peace Walker. There is also a level of unevenness that extends to spotty framerate, clunky animations, stiff movements, bland textures, occasional clipping as well as in-game assets. Whereas certain main characters are afforded decent amount of detail, rest of the NPCs feature fairly unimpressive character models, which are constantly zoomed-in and given a lot of on-camera real-estate during conversations and other player interactions. Despite all that, Vampyre does good use of lighting and particle/fog effects to give the dreary streets of London a spooky atmosphere. The world design also compliments this aspect as it is smaller in scale compared to other open-world games, where players are not allowed to fast travel and forced to explore the dark and mysterious streets. All of this plays well into the main theme of the game, but things like a minimalist User Interface and uneven assets clash badly with the overall aesthetic of the game and come off as outdated and unfinished. 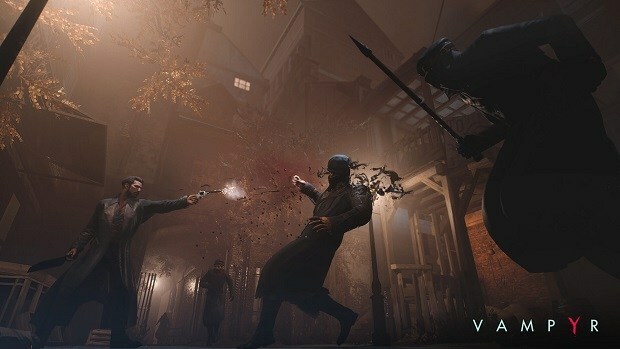 Vampyr’s combat faces a similar issue as it relies on the most basic 3D hack and slash mechanics for majority of action in the game. The most basic combat in the game is quite clunky and lacks the bite needed to keep most players engaged long enough to discover and employ Reid’s vampiric powers in action. The use of these vampiric skills actually improves the flow of the action and makes in appear far less repetitive and clunky. Some of these skills even work better when employed in tandem with other powers, giving players the opportunity to experiment with the vampiric skills and find out which power combinations work best for their playstyle. Speaking of playstyles, while the game claims that it affords players freedom to play a pacifist run with a campaign that can be completed without taking any lives, it does not hold true in execution. 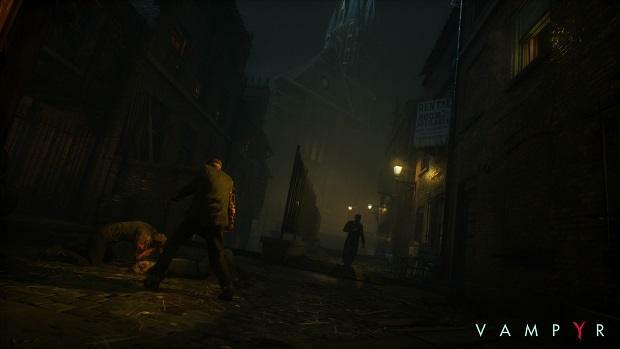 While killing NPCs is certainly optional to completing Vampyr’s story, combat is certainly not as the game is filled with instances where players are faced with compulsory boss fights as well as enemy encounters that cannot be avoided. 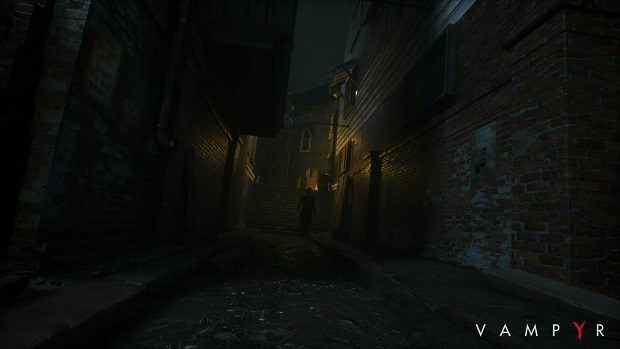 Furthermore, while there are opportunities to sneak and there is a vampiric ability that can allow for Reid to temporarily become shadow, it does not change gameplay very much as Vampyr is not really a stealth game. Mostly Reid can use his vampire senses to tell where enemies are and find ways to avoid them by taking alternate paths or stun them stealthily before engaging in all-out battle but that’s probably as far as it goes. Thankfully the main gameplay hook of Vampyr does not rely on its action, but on the choice given to the player of who to kill and when. The game starts with telling the player that the more people they kill the more easier the game will be, a mechanic that aims to mimic the moral dilemma facing Dr. Reid in the game’s story. The game world is split into four major districts. 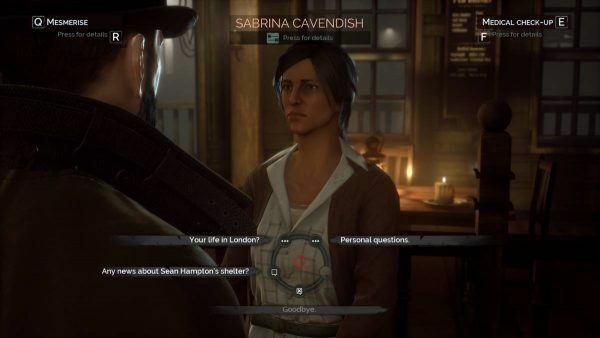 This disease ridden London serves as a fictionalized semi-open world composed of four districts, containing a cast of more than 60 core NPCs, each with their own identity and a unique story to tell. Each person has their own personal issues, their routines, their social circle and their own motivations that drive them. Each of these NPCs have dialogues and conversations associated with them that unlock their quests, which require Reid to investigate and discover clues to help their query. Helping out NPCs makes their blood more potent, which makes killing them even more rewarding. Killing an NPC gains Reid a huge amounts of XP, but robs the player of dialogue choices and quests associated with him or her. Every night, spread of disease and consequences of Reid’s actions can improve or degrade a districts health status. Curing or rescuing citizens improves the health of the district, however, the more lives Reid takes, the more NPCs are affected and the unhealthier the districts status becomes. If a district’s status goes below a critical level, the whole location plunges into chaos where citizens will start going missing, making their quests unavailable and dangerous enemies will start roaming the streets of that burrow. 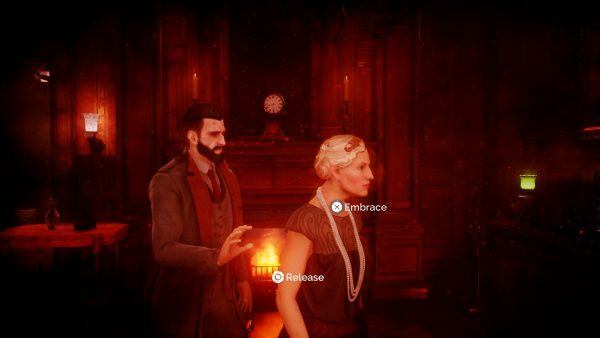 This gameplay loop not only gives a balance to risk and rewards but also serves to encapsulate the moral dilemma faced by Dr. Reid in balancing his role between being a doctor and a vampire. 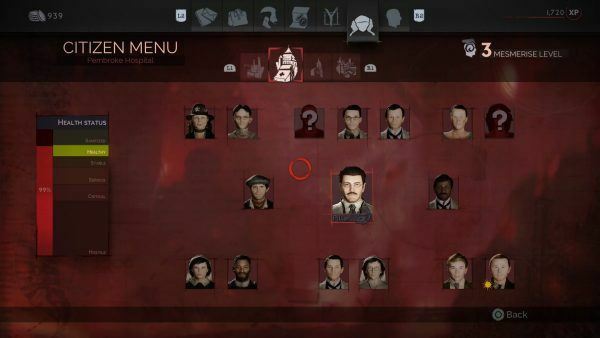 Whether it is draining NPCs off their blood, completing each story mission, curing an NPC, completing a pending investigation or defeating enemies present in streets of London, each of these actions nets Reid XP which can be cashed in, allowing Reid to unlock new powers as well as upgrade his vampiric skills. The process of unlocking and upgrading vampiric powers can only be done when Reid rests at a hideout. These powers include Passive Skills like amount of health, melee damage, blood absorption and item capacity as well as Active Skills that require use of blood and range from defensive options like Blood Healing, Stealth and creating barriers, to more aggressive options like attacks via claws, blood spears and mists as well as using berserker rage or shadow voids to inflict massive damage. However, while most of these skills are useful in gameplay and seem sufficiently diverse, the upgrade tree itself is not very extensive; once unlocked, upgrading the skill mostly only leads to moderate increase in its effectiveness, rather make room for a new variant of the overall skill. Along with giving players ability to upgrade skills, each hideout is also home to a workbench. Workbenches allow for crafting useful items like upgrading weapons to improve and customize on and off-hand weaponry, concoct serums to give temporary boosts to Reid’s stats and powers, as well as create medical treatments to heal sick citizens suffering from different ailments in the game world. Overall the game is able to present an interesting take on the vampire mythos, set in an atmospheric world where players are able to take decisions that change the lives of those around them irrevocably. Mercifully, Vampyr’s main campaign does not overstay its welcome and takes around 20-30 hours to complete. 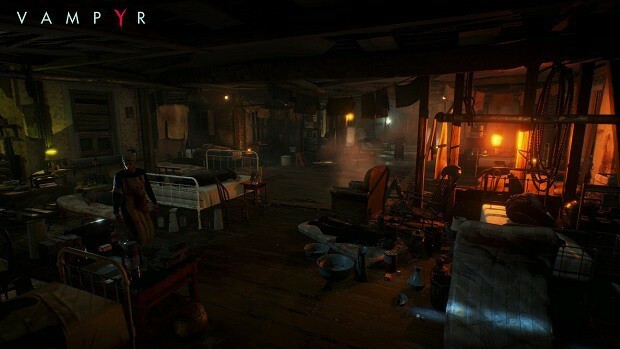 However for those interested, the world of Vampyr is filled with collectables to find as well as different multiple endings depending on the choices made. 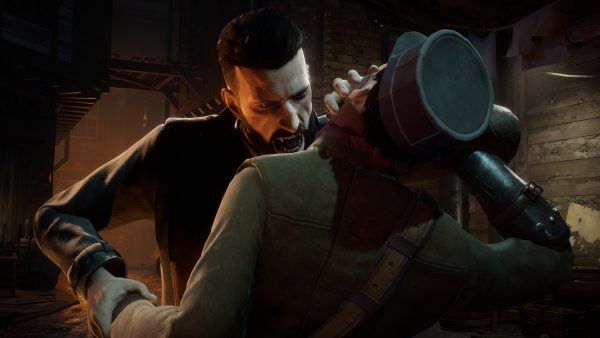 Vampyr takes a fairly slow burn approach to revealing the potential of its game mechanics, its lore and the world it has created. Unfortunately this means that since the game’s presentation, UI and controls leave a sad and worrying first impression, which becomes fairly difficult to shake off and give the game chance to show its true self. If you are looking for a AAA RPG experience with immaculate graphics like Horizon, polished presentation like Uncharted, engaging action like God of War and large vampire story adventure the likes of Soul Reaver games then you are in for a disappointment. 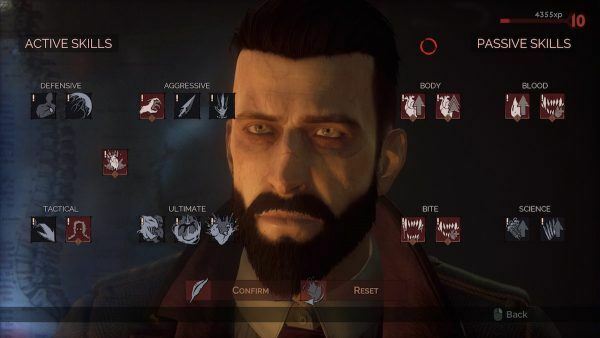 However if the unpolished presentation and lack luster combat does not bother you and you are looking for a more grounded story focused on character interaction through branching dialogue trees and traditional vampiric lore…then Vampyr is right up your alley and you will definitely like what it has to offer. 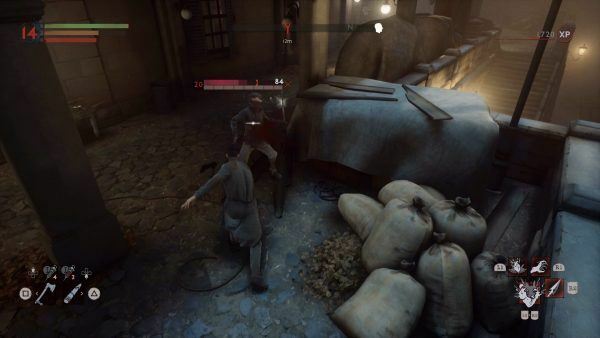 Whereas the overall combat mechanics in the game are lackluster, they are salvaged by interesting combination of vampiric skills and totally overshadowed by the citizen system which highlights story, relationships and motives of each NPC and turns out to be Vampyr’s main gameplay mechanic. 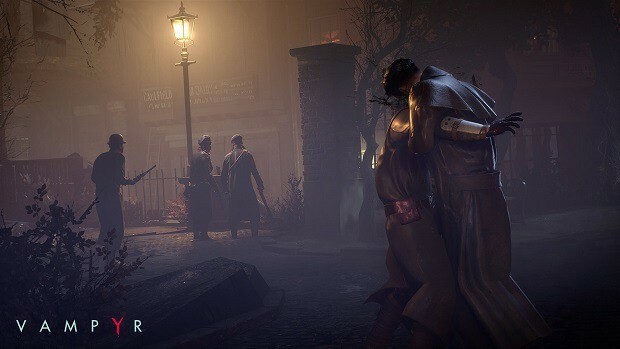 From its graphics, animations and framerate issues to its overall sound design, Vampyr suffers from uneven and unpolished video and audial presentation. While there is nothing absolutely broken, the overall mediocre production values hamper the effort put into building an atmospheric post-war London. Vampyr tells a generally engaging story that starts small and takes its time developing its interesting lore and strong world building. While the game fails to properly set up the main characters, it does manage to do a commendable job of fleshing out most of the NPCs that populate its world. While Vampyr is a competent game that offers a decent story and loads of quests and character interactions, its unpolished nature makes the overall package barely worth its $60 price. The game had huge potential and could have benefitted greatly from influx of little more resources and a little more time in the oven. Vampyr offers an interesting take on early-20th century vampire fiction and tells its story through unique gameplay mechanics. However this novel take on the genre is hampered by spotty production values that reduce it to game that is unable to fulfil its great potential. Vampyr is a unique take on vampire genre that is curiously entertaining but is rough around the edges.